Christopher Columbus is home to 0ver 1700 students and out of all of them we chose William Cabase, senior, for a segment we call “Every Student has a Story” where we select a random student and do a story on him. Cabase follows the regular routine of any other Columbus student. “I wake up at around 5:30 so I can make it to lift, after lift I go to school, after school I drive to Miami-Dade and I have water polo practice, after that I go home do my homework and go to bed,” Cabase stated. But what separates him from any other average Columbus students is affiliation in water polo. After talking to one of his friends that was on the team William decided to play water polo. Ever since then, he has grown an appreciation for the sport and even joined swimming the following year. When the year was out and water polo season was over, Cabase went to club water polo in order to enhance his skills. “I love waking up everyday in the morning just so I can just get better at this specific sport,” he says. 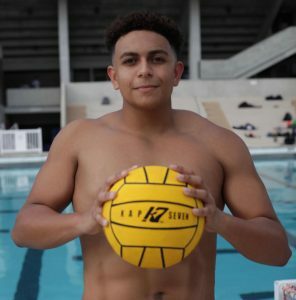 As his senior year slowly winds down, Cabase has future goals for water polo as he moves on into college. “The number one school I’m looking at right now is Loyala University in Chicago,” he says. Ever since his encounter with this sport, Cabase has made many achievements and grown because of them. His story is one of many and proves that no matter who they are, every student has a story.